QUALITY CHILDREN'S BOOKS & MUCH MORE! In 1837 London, young daughters of viscounts pined for handsome, titled husbands, not careers. And certainly not careers in magic. At least, most of them didn't. Shy, studious Persephone Leland would far rather devote herself to her secret magic studies than enter society and look for a suitable husband. 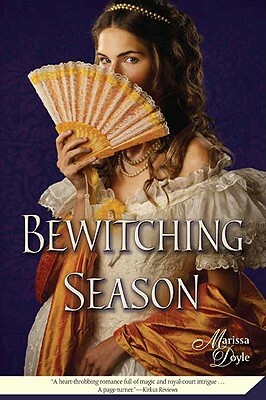 But right as the inevitable season for "coming out" is about to begin, Persy and her twin sister discover that their governess in magic has been kidnapped as part of a plot to gain control of the soon-to-be Queen Victoria. Racing through Mayfair ballrooms and royal palaces, the sisters overcome bad millinery, shady royal spinsters, and a mysterious Irish wizard. And along the way, Persy learns that husband hunting isn't such an odious task after all, if you can find the right quarry. Bewitching Season is a 2009 Bank Street - Best Children's Book of the Year. Marissa Doyle is fascinated by the past and lives in Massachusetts, where she is surrounded by history.